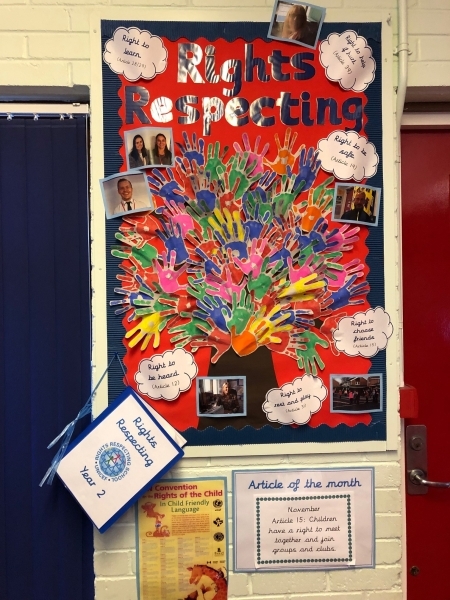 Here at St Benet’s, we are working towards the UNICEF’s Rights Respecting Schools Award. We have already achieved the Bronze and Silver awards which illustrates that we are committed to and aware of our rights. 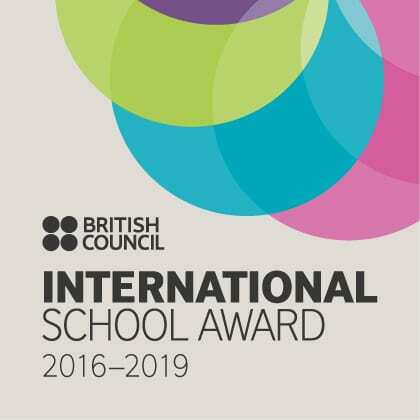 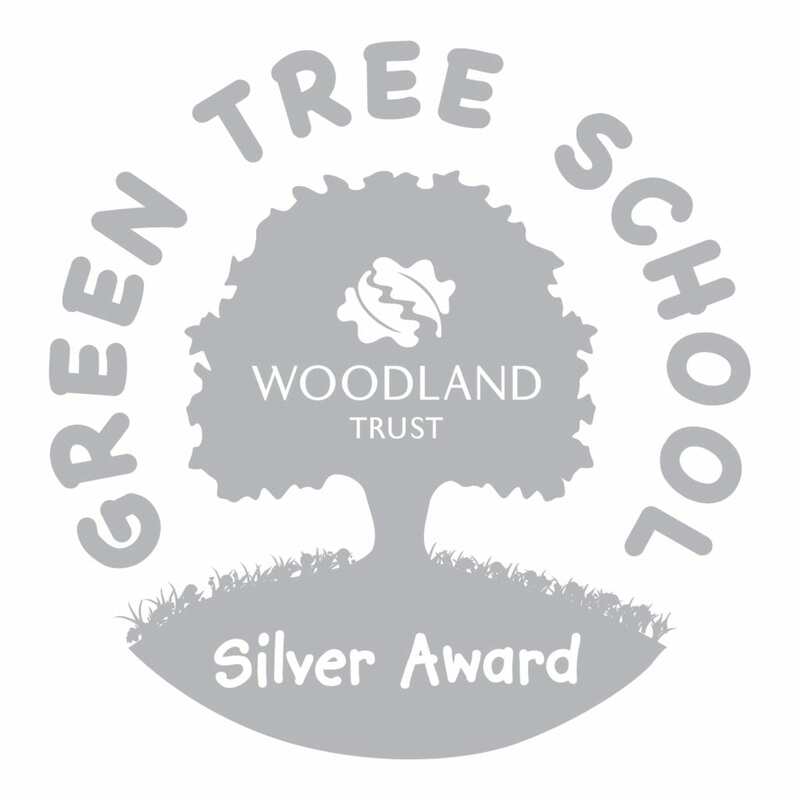 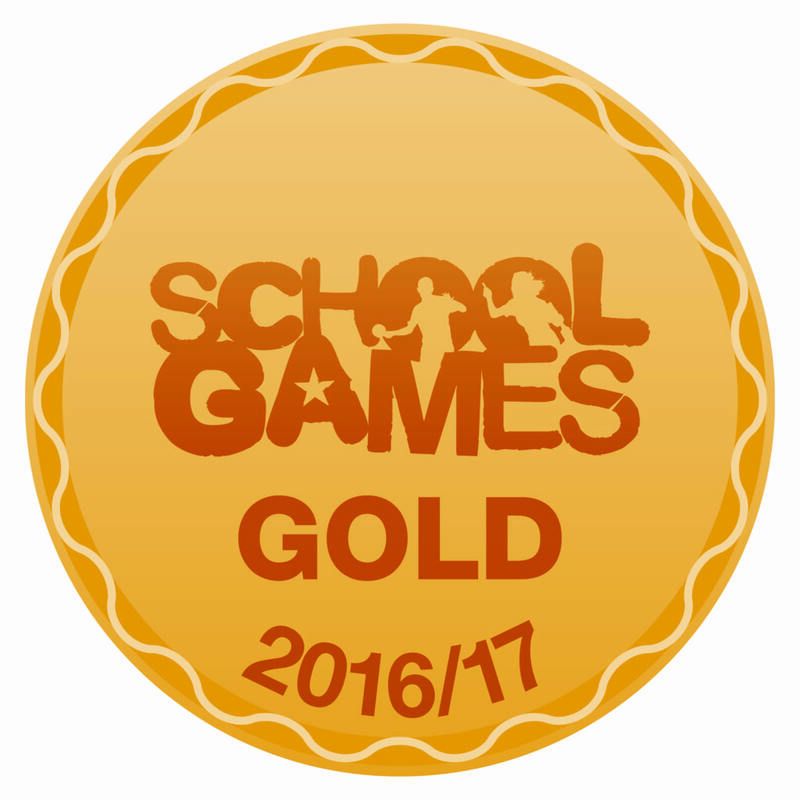 We are now on our journey to Gold and shall be assessed for the Gold award in January 2020. 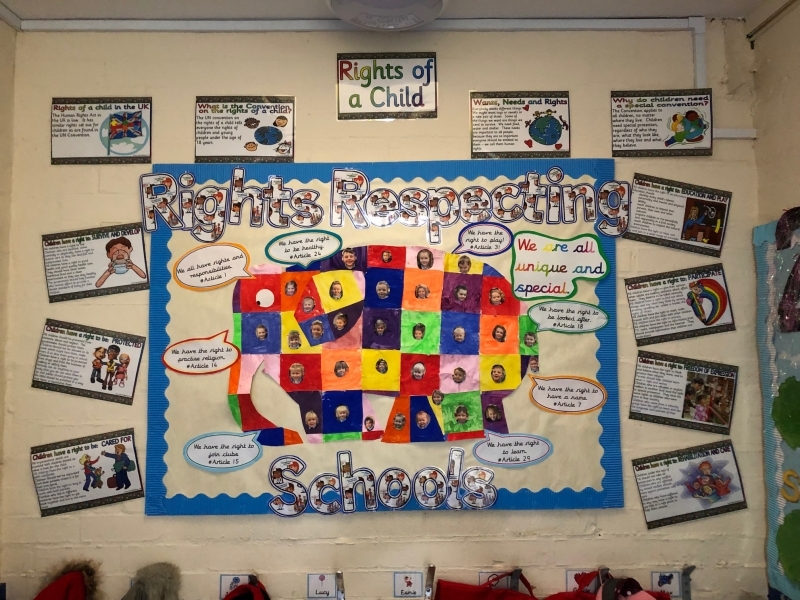 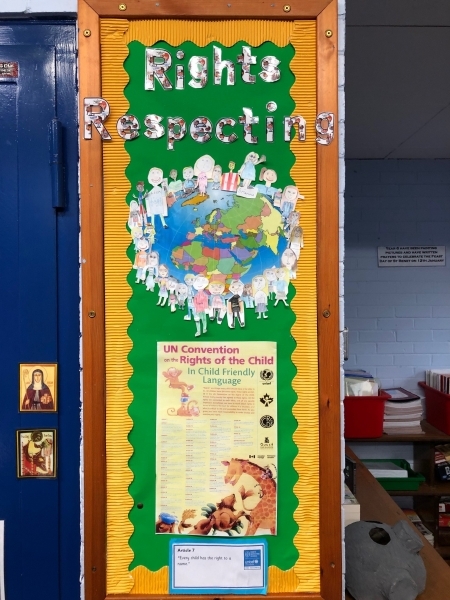 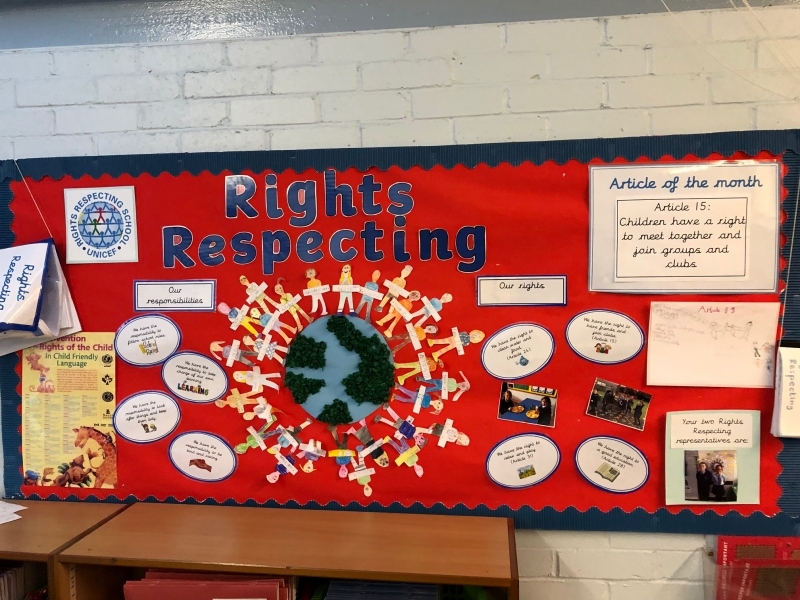 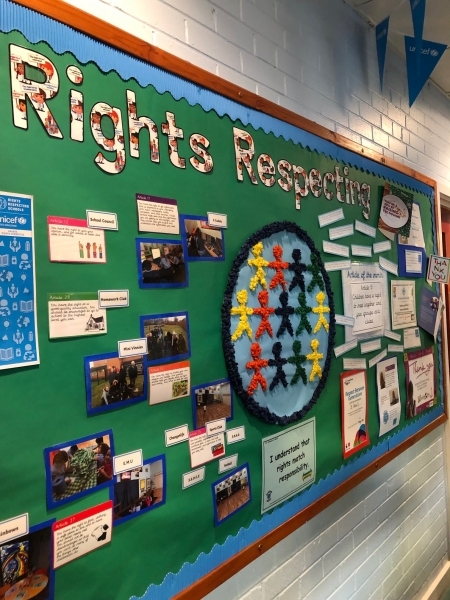 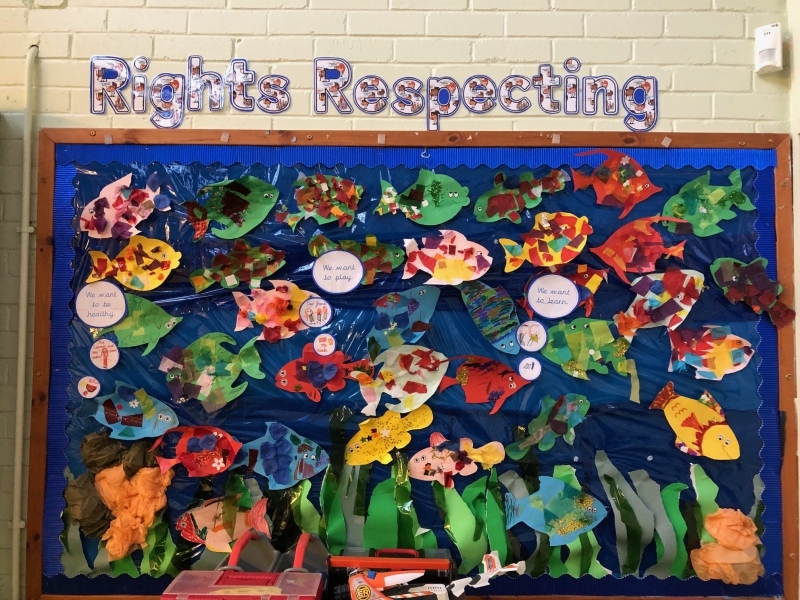 We are proud of our children’s commitment to the Rights Respecting Programme. 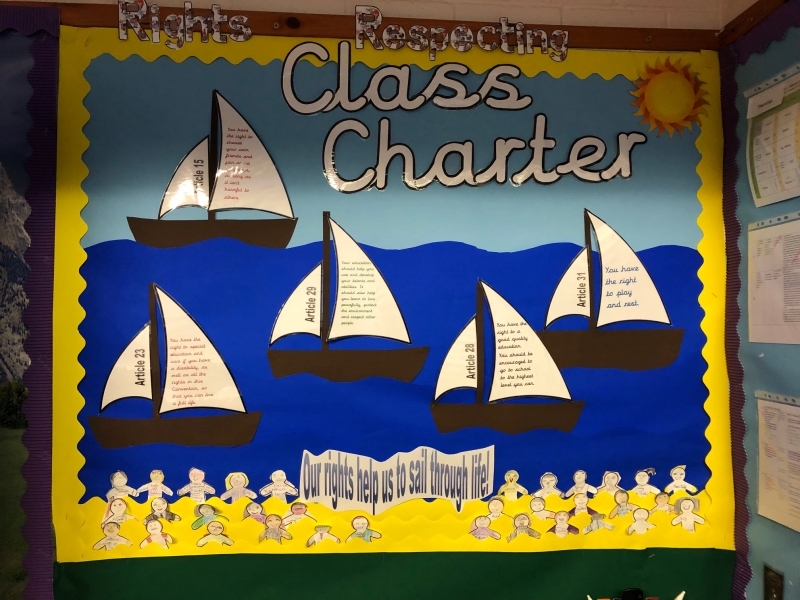 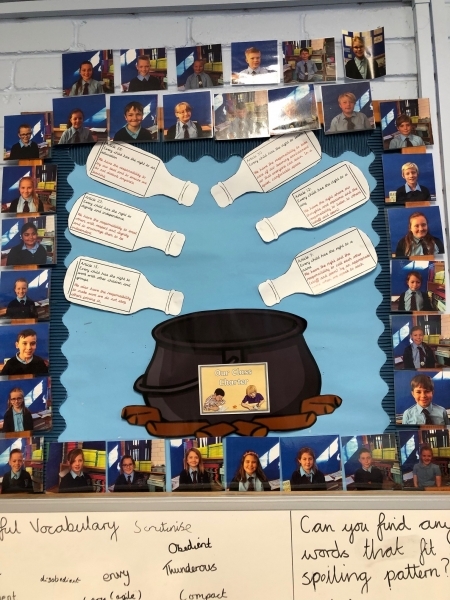 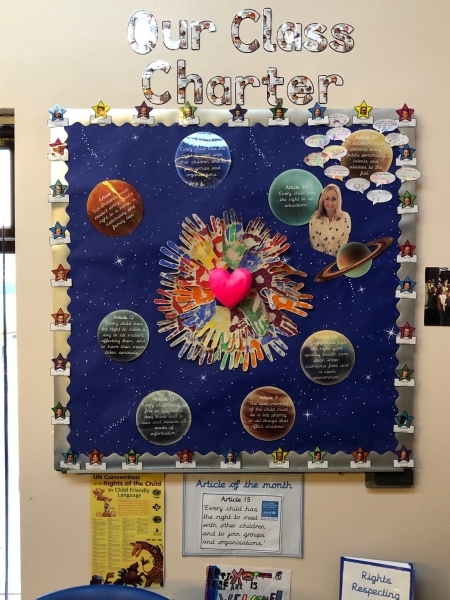 Each class has created their own class charter which displays the rights that we want for our class both at home and at school. 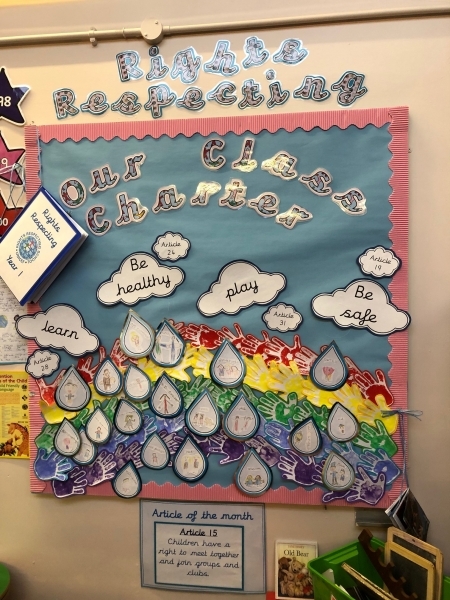 Watch the slideshow to see examples of our class charters.